I receive a Flamingo Candles The Melt Crowd Subscription Box every month and it honestly brightens up my day! 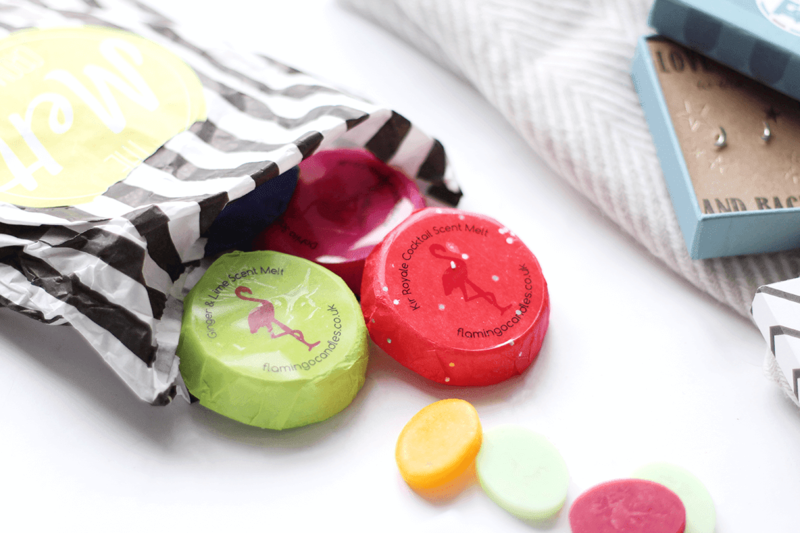 I love the bright packaging, the striped bag the candles come in and, of course, the scent melts themselves. This month there was also some little scent eggs, which are fruit flavoured and you’re supposed to add a couple to a burner to make a fruity cocktail scent. I’m looking forward to trying them once I’ve restocked my tealights! 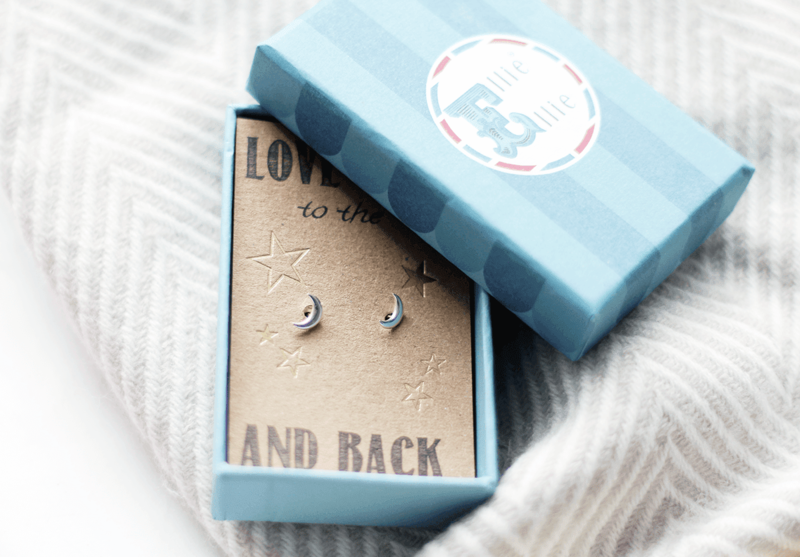 Not strictly lifestyle, but I’ve had these gorgeous Ellie Ellie Sterling Silver Moon Studs for a while now so need to share. First of all, they’re only £15 which I think is great for an independent brand, plus the ‘love you to the moon and back’ packaging is so cute! I’ve been wearing them so much that I completely forgot to blog about them, definitely check out their shop though as there’s so many cute items. 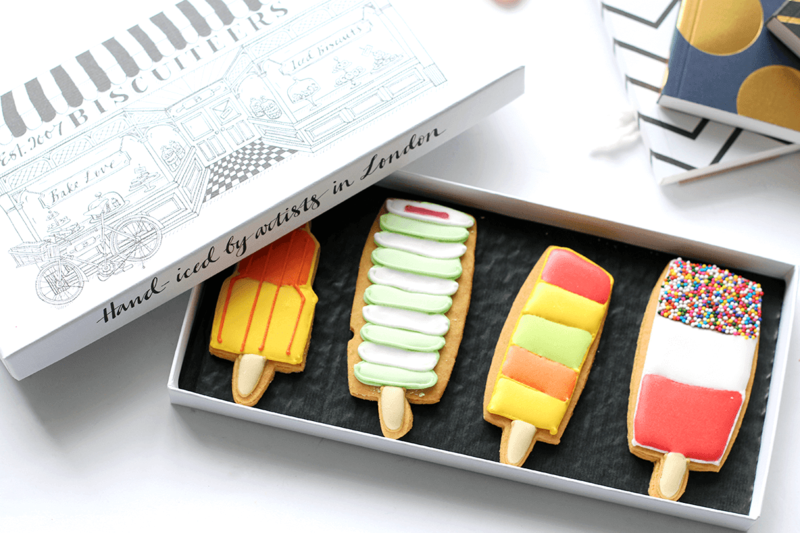 Next is the utterly adorable Biscuiteers Ice Lollies Big Biscuit Card, which is a box containing four ice lolly shaped and iced biscuits! How bloody cute are these?! 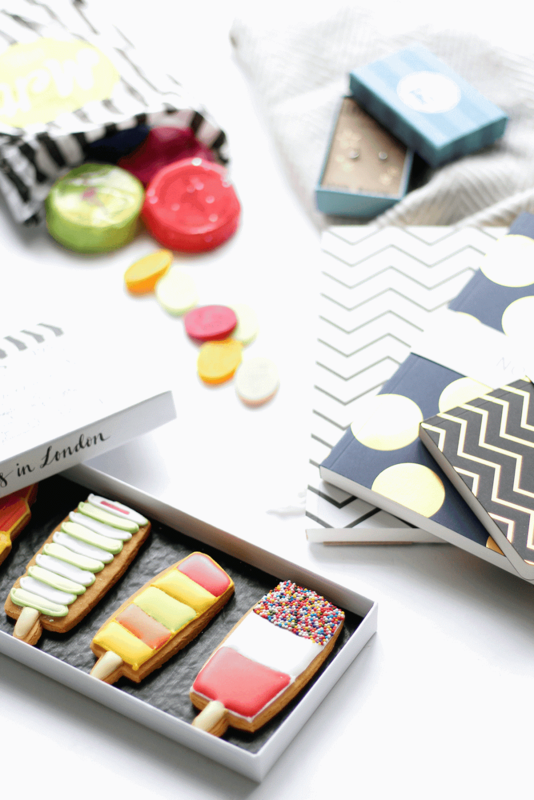 I absolutely adore the illustration packaging too, so it made them an absolute treat to receive – plus they taste darn nice too! Finally, I went to pick a card up in town and fell into the stationary department of Jolie Papier (whose website isn’t ecommerce grr). 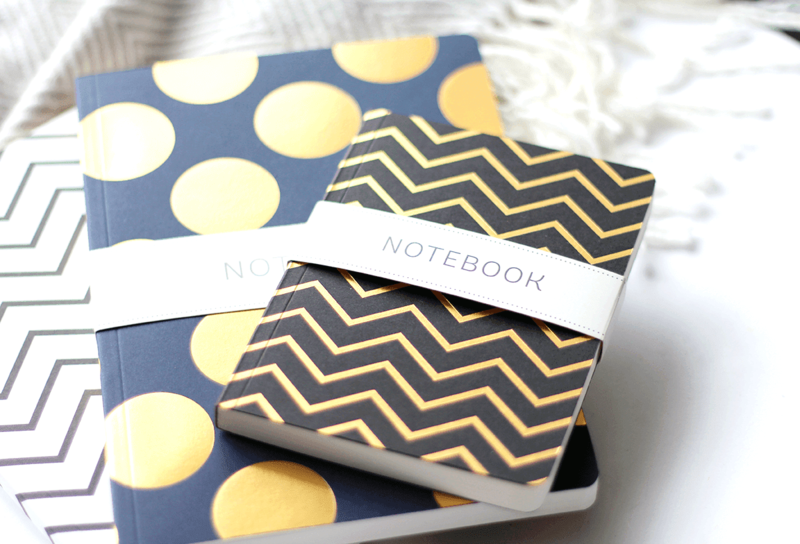 I picked up three noteboots, an A5 size navy and gold polkadot one, a black and white chevron one and a little A6 gold chevron one. I adore them both and, as with all nice notebooks, I’m too scared to write in them!